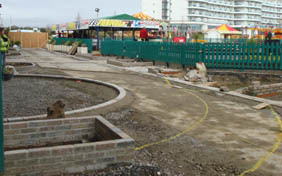 LCM Construction have extensive experience in all aspects of groundworks from highways, drainage to foundations. Over the years LCM Contractors Ltd have worked in partnership with numerous clients to successfully complete a multitude of works to an extremely high standard. We take an active role in establishing a strong relationship between contractor and client to ensure coherence, quality, and efficiency throughout each and every project. 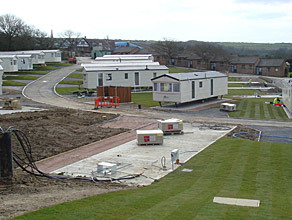 All projects are controlled and overseen by a chartered engineer and professionally qualified site manager. Advice can be given in relation to planning, highways, building regulations, CDM and health & safety. Embracing all forms of civil engineering, our professional, technical and skilled operatives are dedicated to providing our clients with the best service possible. A professional builder will achieve time schedules & budgets. A good builder is recognised for its skill in building high end, quality construction with greater efficiency than others in this field. We welcome all opportunities to competitively tender and to provide top-class construction services. I have worked for LCM several times over the last few years. I have always found the work has been well run and sites run efficiently. Having dealt with Lee and his team on various sites, we cannot praise him enough. Throughout the contracts LCM has offered incredible support to our project management team and produced a very high standard of work whilst at all times ensuring timescales were met and costs were within budget.